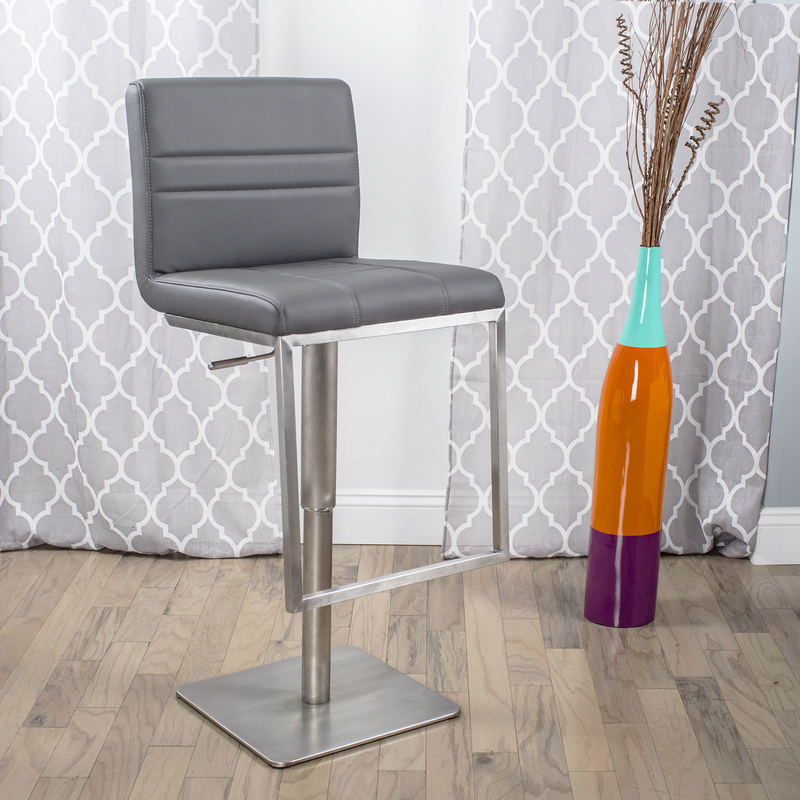 Steel barstools can make a great impression. 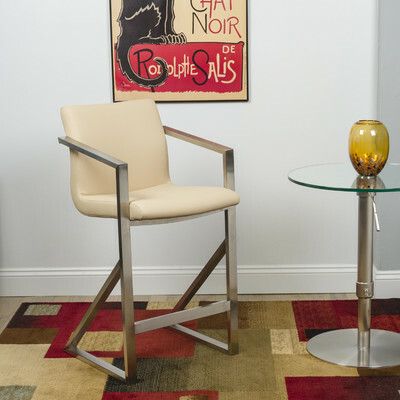 Whether a shiny surface, such as with chrome stools or a darker and subtler lined finish, like with brushed stainless-steel barstools, this style of seating option adds a richness to any room or space. A big benefit to a brushed steel finish is that it’s also low maintenance, not to mention durable. Brushed steel stools are very versatile in the way they can be used in both residential as well as commercial locations and they are very popular in an industrial theme. 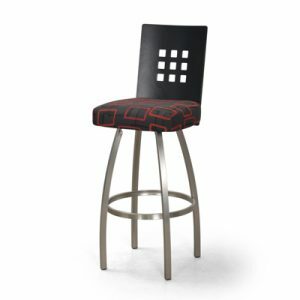 Steel counter and bar stools look great at a kitchen bar or island, at a bar in your family room, as well as at a pub style dining suite. Our commercial customers include golf clubs, gentleman’s clubs, cigar lounges, casinos, and the list goes on. We sell seating options and barstools ranging from chair height up to extra tall 36” barstools so whatever your counter height, chances are that we’ve got the stool you want. 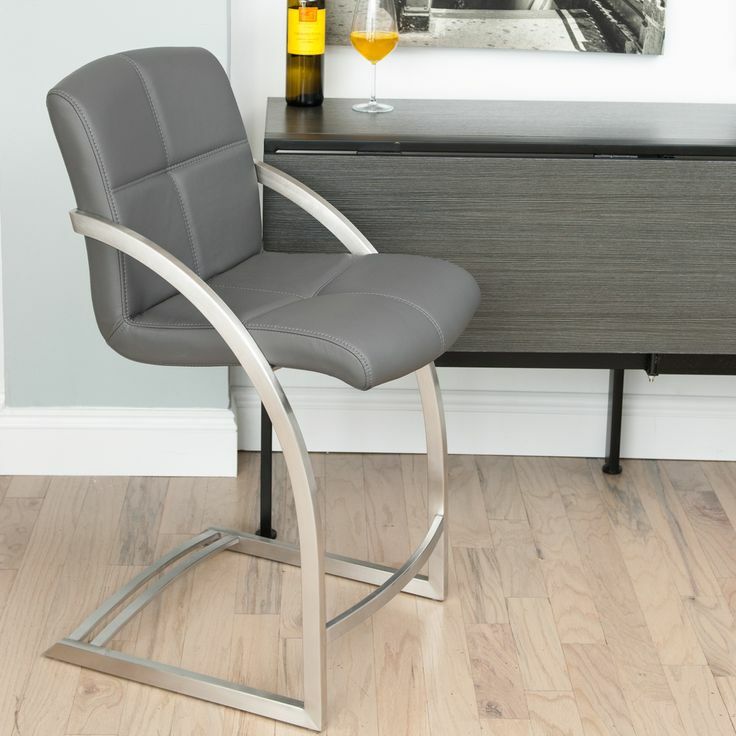 You can buy brushed stainless-steel barstools with backs, with armrests, or with low backs as well as in backless varieties. 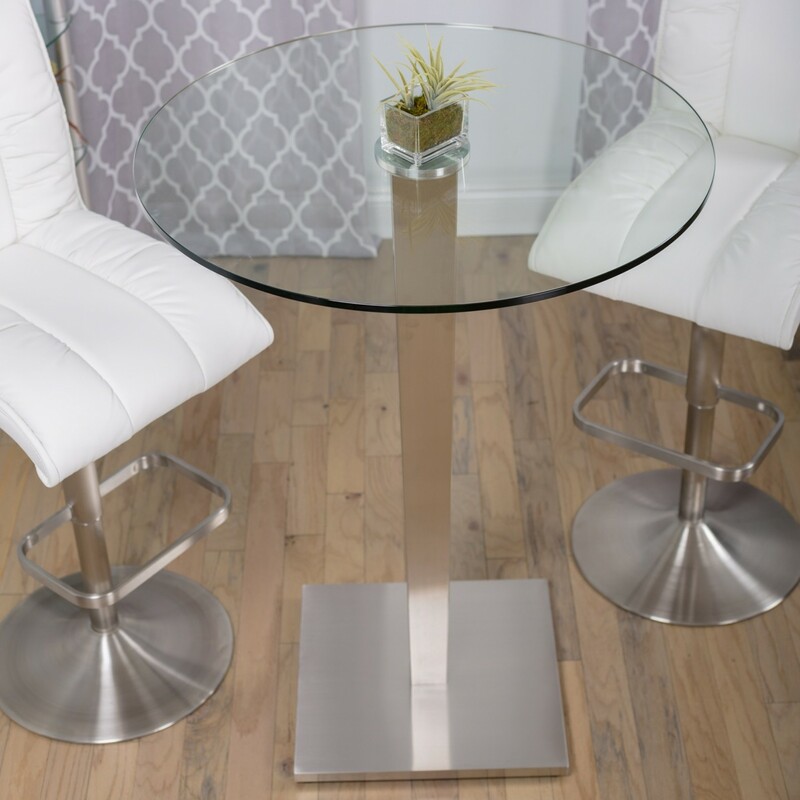 Brushed steel, nickel, or pewter integrates quite well with fabrics, leathers, and other materials and our stools come in a variety of colors. 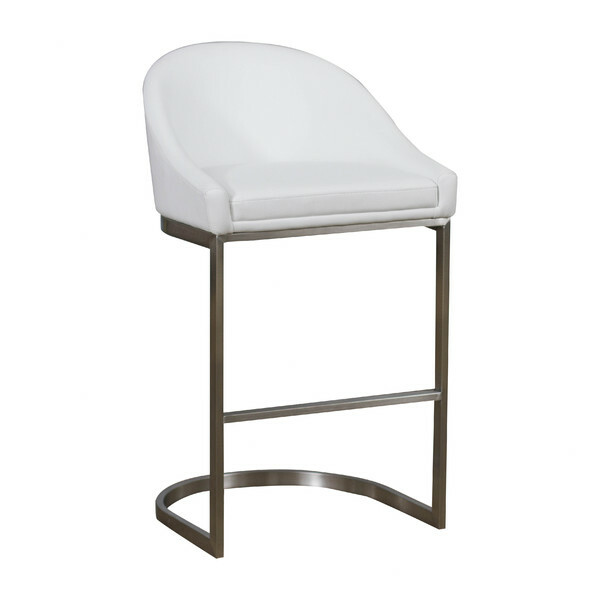 At Alfa Barstools, we sell several of the best brand name barstools available in the USA. We also carry our own line of custom barstools, too. When it comes to brushed steel seating options, the process of crafting a beautiful stool is something taken very seriously. 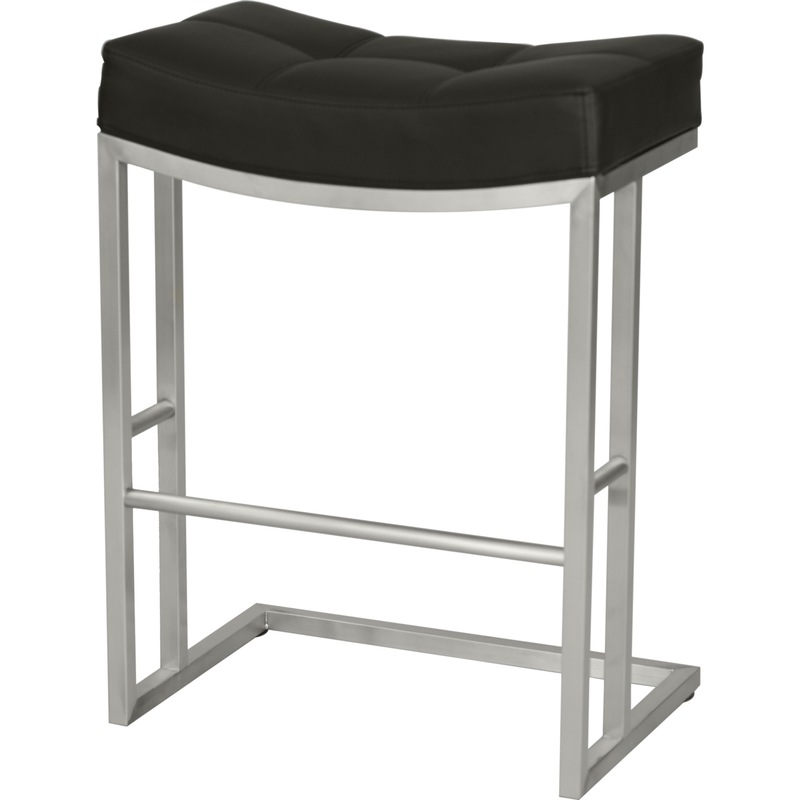 Whether you’re going for a modern look or something industrial, barstools with a brushed steel finish can blend extremely well. 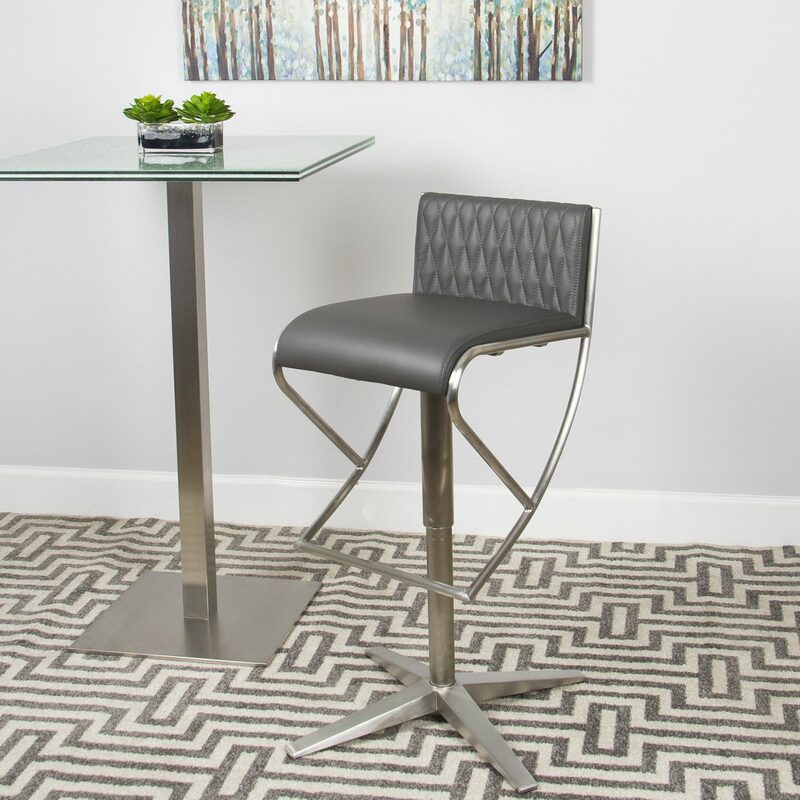 Brands like Trica barstools by Trica Furniture are an example of a beautiful brushed steel swivel stool. 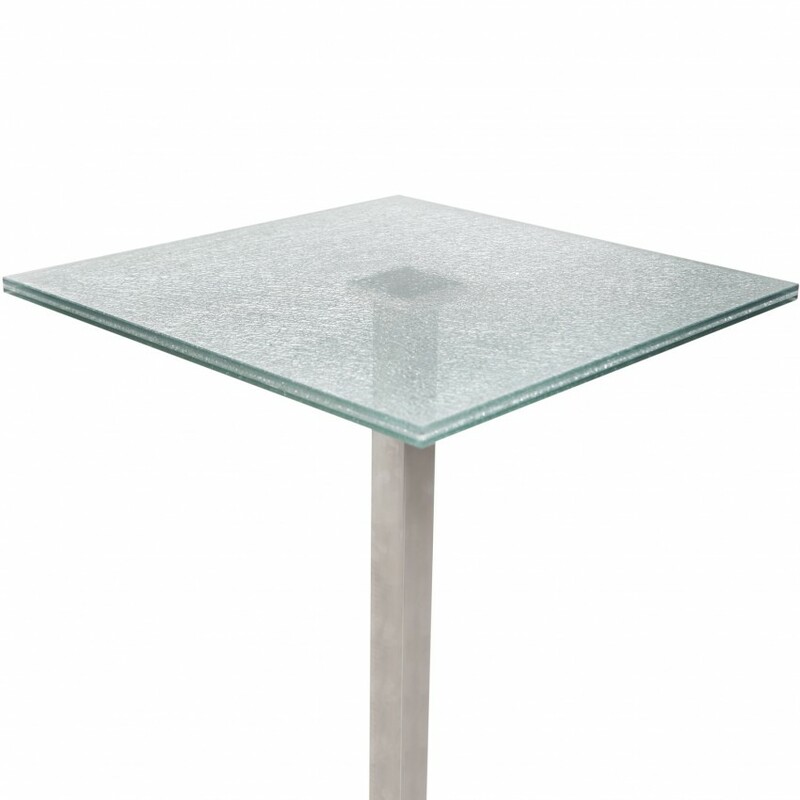 Their Calvin, Champagne, and Tuscany brushed steel stools are some of the most popular choices. We have a great number of styles with flared bottoms, strain lines, integrated with leather, integrated with fabric, and gorgeous back designs. Whatever you can dream up in a barstool, chances are that we either have it or can make it for you. 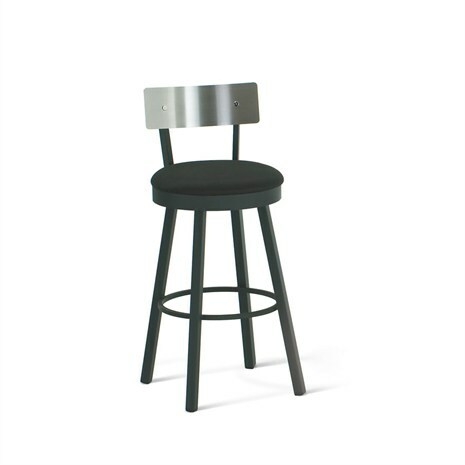 Whether you want industrial barstools, modern, contemporary, or even Victorian style barstools , we have a huge variety of beautifully crafted brand name barstools. And we do custom barstools, too. 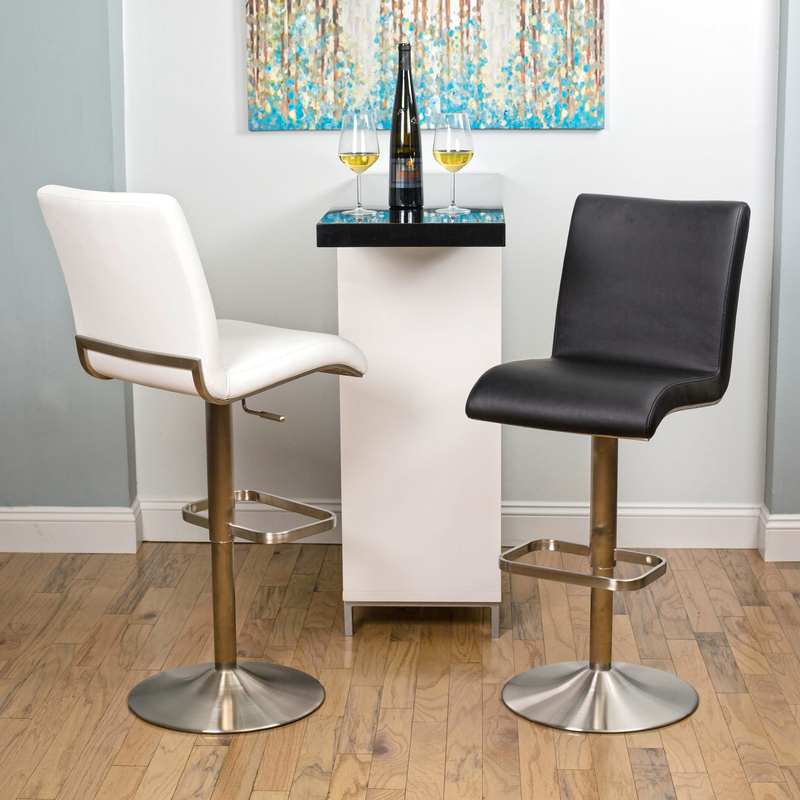 Alfa Barstools is in Lauderhill, FL and we have been in the barstool and dinette business since 1992. Want assistance with an order? Have questions about custom barstools? Interested in design assistance? We would be happy to help. Contact us.